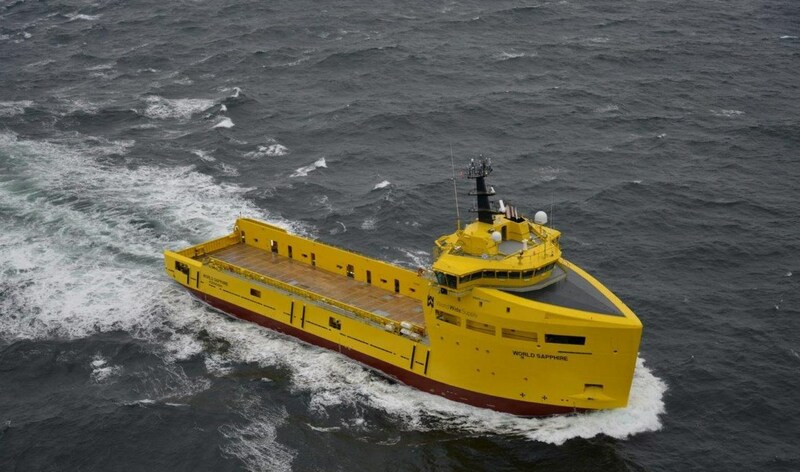 Home › Platform Supply Vessel › Platform Supply Vessel 3300 CD › Platform Supply Vessel 3300 "World Sapphire"
In December 2013, Damen delivered the sixth and final ship of the order, “World Sapphire”, to World Wide Supply. It was an event with mixed emotions; there was a little sadness that this project was now at an end, but predominantly it was an occasion of great joy about the achievement we had accomplished alongside all the other partners involved in this project. From the first line on paper to the final brush of paint, everyone deserves our deepest appreciation. A new design, with new technology, a demanding client and then six ships delivered within six months is something very special, if not unprecedented. The owner, World Wide Supply, and the operator Remøy Management, are very satisfied and also very proud of these vessels. The ships already delivered report good performance and happy crews.